Reid State Technical College is a rural, degree-granting, two-year institution that provides quality academic and technical education to students from diverse backgrounds and abilities. The college promotes economic growth by preparing a qualified workforce for business and industry. 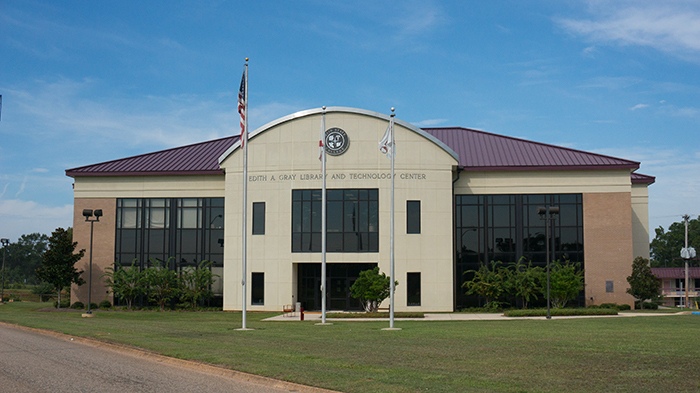 Reid State Technical College was created by the Alabama State Legislature through a State statute on May 3, 1963. Through this enabling legislation, the College was chartered to provide citizens of the area greater and equal access to postsecondary education to help provide a trained work force for area employers to assist in the economic development of the area. Local support for the estatblishment of the College was provided by the City of Evergreen with the donation of 26 acres of land in north Evergreen at the intersection of Interstate 65 and state Highway 83, which became the institution's main campus. From this campus, the College's main service area, which includes Conecuh, Monroe,and Escambia counties and portions of Butler, Covington, and Wilcox counties. In 1981 Reid State established an off-site location in the city of Atmore for the College's Practical Nursing Program. The architectural firm of Carl H. Lancaster, Jr., Montgomery, Alabama, designed and supervised construction of the main campus facilities consisting of the administration building, seven shops and laboratory buildings, and a warehouse. The Wiley Salter Auditorium and Administration Building was completed in 1986 and 1990 major renovations were initiated for the creation of a learning center and high tech training laboratories for specialized training in computer software applications, programmable logic controllers, and instrumentation systems. In 1993 and 1994 major renovations were conducted for the creation of a modern practical nursing facility to more closely resemble clinical facilities. In 1995 the cosmetology department was renovated and expanded.